AVG says I have a Trojan.CWSMeup.b virus and recommends that I quarantine it. Every time I do this it continues to come back on the next scan. How can I get rid of this?? Please post (reply) with a hijackthis log first so we can better evaluate the situation. Use this link to get HijackThis. Save it to your desktop and then double-click to run it. It will install the program in c:\program files\HijackThis. That will allow you to save the log to the desktop (or some other place) and leave open a notepad file with the HijackThis log in it. Download Silentrunners.zip from here and unzip it a new folder on your desktop. If your antivirus has a script blocker, you will get a warning asking if you want to allow SilentRunners.vbs to run. This script is not malicious so please allow it. Once the "All Done!" prompt flashes up, open the text file and copy & paste it in your next reply. Finally, please post a fresh HijackThis log, along with the contents of the logfile C:\fixwareout\report.txt, and the Silent Runners log. Let's do this instead please. After all of the fixes are complete it is very important that you enable TeaTimer again. Close all windows or browsers except for Hijackthis. Click on Fix Checked when finished and exit HijackThis. Please print out or copy these instructions/tutorial to Notepad as the internet will not be (while in Safe Mode) available to you at certain points of the removal process. Make sure to work through all the Steps in the exact order in which they are listed below. If there's anything that you don't understand, ask your question(s) before moving on with the fixes. Please download AVG Anti-Spyware to your Desktop or to your usual Download Folder. Install AVG Anti-Spyware by double clicking the installer. Follow the prompts. Make sure that Launch AVG Anti-Spyware is checked. Click on Change state next to Resident shield. It should now change to inactive. Click on Change state next to Automatic updates. It should now change to inactive. Wait until you see the Update succesfull message. Right-click the AVG Anti-Spyware Tray Icon and uncheck Start with Windows. Right-click the AVG Anti-Spyware Tray Icon and select Exit. If you are having problems with the updater, you can use this link to manually update AVG Anti-spyware. Download the Full database to your Desktop or to your usual Download Folder and install it by double clicking the file. Make sure that AVG Anti-Spyware is closed before installing the update. Reboot your computer in Safe Mode. Start tapping the F8 key. The Windows Advanced Options Menu appears. If you begin tapping the F8 key too soon, some computers display a "keyboard error" message. To resolve this, restart the computer and try again. Close ALL open Windows / Programs / Folders. Please start AVG Anti-Spyware and run a full scan. IMPORTANT : Don't click on the "Save Scan Report" button before you did hit the "Apply all Actions" button. Right-click the AVG Anti-Spyware Tray Icon and select Exit. Confirm by clicking Yes. I'm not sure what to do now. I had previously downloaded and installed AVG antivirus but I think the free trial period has run out. I can still scan but not sure how to complete the directions from here. I am sorry about that. Yes, it is hit and miss sometimes with the trials because we don't know if the trial has expired. Let's just try Kapersky. Copy and paste that information from Kapersky in your next post. **Note for Internet Explorer 7 users: If at any time you have trouble with the accept button of the license, click on the Zoom tool located at the right bottom of the IE window and set the zoom to 75 %. Once the license is accepted, reset to 100%. Please post (reply) with the log from Kapersky and a fresh hijackthis log. Your hijackthis log appears to be clean. One thing I noticed is that you have a Symantec reference in your hijackthis log when you are using McAfee. Did you have problems uninstalling the Symante product and switch to McAfee? Download the latest version of Java Runtime Environment (JRE) 6.0. Post (reply) with a fresh HijackThis log and we will take another look. Your hijackthis log looks good, I missed a couple of imcomplete do-nothing entries to remove and tidy up the log. Let’s run GMER though just to make sure no rootkit exists which is sometimes present with the Wareout infections. Please create a new subfolder in the Program Files folder called GMER. If you have an older version of GMER installed, you must delete it. Download GMER and extract it to the C:\program files\GMER folder. Note: You can rename gmer.exe to anything you like as long as you keep the .exe ending. Run the Gmer.exe renamed program by double-clicking the executable file (gmer.exe) in Windows Explorer. 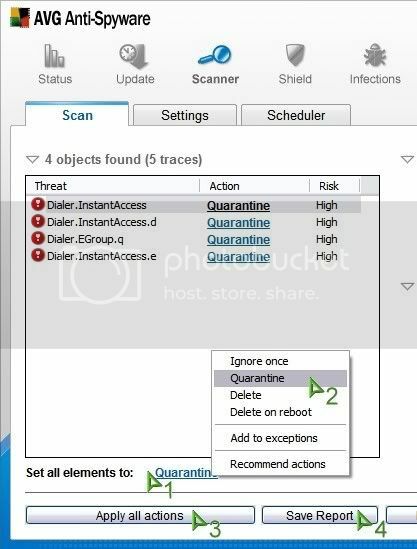 You may be prompted to scan immediately if GMER detects rootkit activity. If you are prompted to scan your system click "yes" to begin the scan. If you are not prompted, Click the "Rootkit" tab, then click "Scan". At the end of the scan, click "Copy" to copy the scan results to the clipboard. Then paste the results in a notepad file and also paste them back in your next reply. Please post (reply) with the results from the GMER scan, and a fresh hijackthis log. Edited by Susan528, 18 March 2007 - 08:01 PM.